ABC Big Ideas’ presenter and producer Paul Barclay shared this interesting initiative by Green Cross Australia. The idea of a hypothetical scenario which is being discussed by a range of experts and professionals including the Queensland’s Minister for Local Government, Community Recovery and Resilience David Crisafulli. Global Resilience Collaborative would like to share this with broader public and resilience specialist alike. 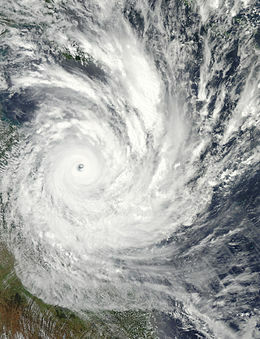 Satellite image of Cyclone Yasi on 2 February near peak intensity.